Tsugaru-Shamisen is one of the versions of Shamisen, a three stringed Japanese Lute, specially evolved in "Tsugaru" region in the northern part of Japan. Because of the heavy snowfall and painful long winter, Tsugaru people were in need of music as an emotional relief to struggle with severe life there. Tsugaru-Shamisen and its music will give audiences an impression of the strength of human as well as tenderness. The root of Shamisen can be date back to Arabic Oud, the same as Lute in Europe. This instrument was apparently introduced to Japan from mainland China through southern islands laying between Japan and Taiwan in the 16th century. Although Shamisen was mainly used for chamber music at urban entertainment place initially, it had made dramatic development as a musical instrument for the stage of "Kabuki" and "Bunraku"(Puppet play) during the period of Edo year(1603-1868). 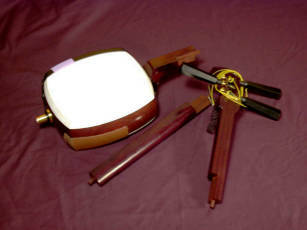 As a result, the popularity of this instrument had been increased rapidly, and Shamisen was evolved as one of the most important instruments in Japanese classical music. Tsugaru-Shamisen , one of the versions of Shamisen, was initially used of wandering blind artists who perform in front of people's house for their living, specially in Tsugaru region. 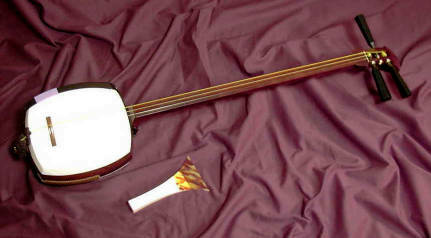 Although, by the middle of the 19th century, Tsugaru-Shamisen was used simply to provide background music to folk singers, it came to be appreciated gradually as a solo or ensemble instrument, As a solo instrument, pieces for Tsugaru-Shamisen require very high technique for speedy playing, refined sense of dynamic rhythm and creativity for improvisation, like jazz music. Now a days, such dynamic, powerful but soulful and sensitive sound of Tsugaru-Shamisen fascinates many people in Japan, and it became a boom within younger generation. ・Tsugaru shamisen is very popular in cultural exchange events sponsored by embassies in Japan. We will apply to the Japan Foundation, etc. for performance requests if there is an invitation from clients.